DC has had a lot to brag about regarding our remarkable achievements in the dining scene this year. But somehow, our drinks scene actually managed to get even more impressive this year, as well. The city’s cocktail dynasty isn’t just keeping pace with our notably thriving dining scene -- it’s earning its own equally glowing and well-deserved reputation. Choosing leaders from a pack of superstars was no easy feat, but these four movers and (literal) shakers have left their mark on the city’s drinking culture this year. They’ve added fresh spirits to the mix, honed the art of cocktail making, and forged new paths in booze entrepreneurship. Their accolades speak for themselves -- so without further ado, here are DC’s bartenders of the year. Mezcal, the smoky, oft-misunderstood Mexican agave spirit, was in desperate need of a champion in the DC region, and that champion is Megan Barnes. 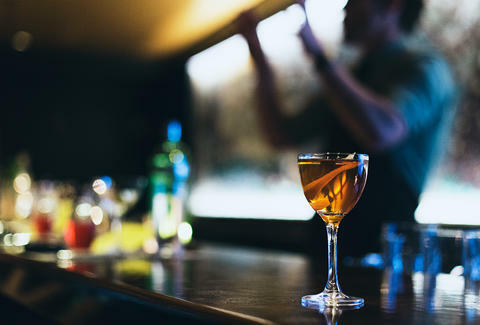 As the beverage director at Espita Mezcaleria, Barnes is tasked with making mezcal approachable and enjoyable for diners and drinkers who may not have ever tried it before. Within the walls of her mezcal mecca, she can teach even the most accomplished agave addicts something new about the beloved spirit. 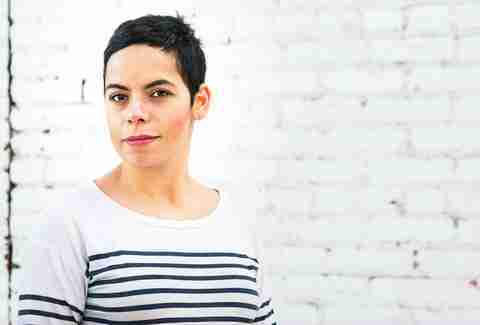 We interviewed Megan Barnes about her spectacular year (and mezcal, of course). Considering his two master’s degrees in history, you could say JP Fetherston takes an academic approach to bartending. 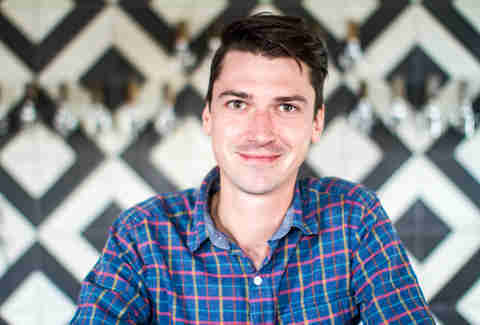 He’s not only the head bartender at the newly reopened Columbia Room, but he also oversees all the training and educational programs for the bar’s parent company, Drink Company, which owns Southern Efficiency, Eat the Rich, and Mockingbird Hill. He’s a partner in the company, along with bar celebs Derek Brown and Angie Fetherston. Before leading the reopening of Columbia Room, Fetherston was the bar manager at Southern Efficiency, which earned multiple accolades during his tenure. Make no mistake: JP uses his erudite powers for good. He’s the furthest thing from a spirits snob, though he could easily flaunt his 27-distillery bicycle tour of Scotland while mixing you a stiff Scotch whiskey drink. 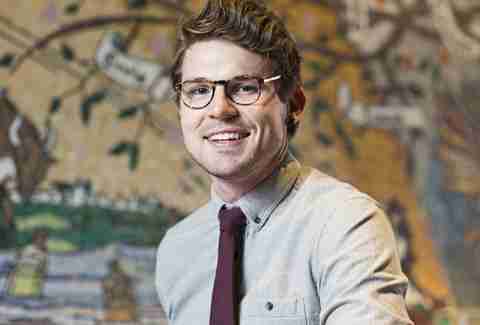 Even being named one of Food & Wine magazine’s "Best New Mixologists" this year didn’t go to his head. Behind the bar in the tasting room, Fetherston earnestly shares the weird and wonderful tales of inspiration and tradition behind each meticulously crafted cocktail. We interviewed JP Fetherston about Columbia Room and the rapidly changing DC cocktail scene. The DC booze roster has made way for a few fresh power players this year, and one of the most exciting newcomers is cider. That’s largely thanks to Tim Prendergast, the beverage director at ANXO Cidery & Pintxos Bar. When ANXO opened in July, it made DC history -- not just as the first cider bar, but also as the city’s first winery. Prendergast and his team didn’t stop there, though; ANXO has a truly impressive selection of traditional ciders, and a draft system so complicated it’ll make your head spin. Prendergast designed the system to deliver 24 ciders by the glass at the optimal level of carbonation and temperature (48 degrees, if you’re wondering). In addition to his handiwork, Prendergast also spent months doing research to prepare the DC drinking scene for the arrival of cider. He categorized the ciders on ANXO’s menu (bright, structured, fruit-forward, and rustic) to demystify the flavors and make traditional cider styles more accessible to uninitiated palates. He wrote a 30-page staff training manual on the history, science, production, and serving of cider (which will be published as a book next year). Then there’s the actual cider making: ANXO has collaborated on seven different ciders with renowned US cider makers, and they’re currently processing this year’s apple harvest for the first batch of cider that’s exclusively theirs. Next year, they plan to open a cider production facility. Talk about a full plate. We interviewed Tim Prendergast about making wine from apples, among other things. 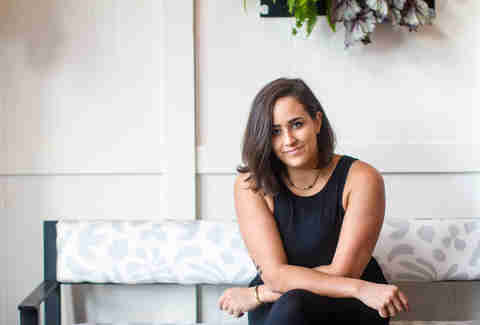 After getting bitten by the cocktail bug at José Andrés’ barmini, Carlie Steiner embraced her entrepreneurial spirit (pun intended) and started Stir Bartending Co. in 2015. Through Stir, Steiner hosts private events and classes, as well as offers consulting for area restaurants, including Indique, Timber Pizza Co, and Bullfrog Bagels. In addition, Steiner and fellow sherry devotees Chantal Tseng and Holly Barzyk launched RedEye Menus, a supper club that married sherry wine with the flavors of Asian cuisine. Steiner has also hosted quirky pop-ups for Tseng at Petworth Citizen and Reading Room, playing off themes like Mean Girls, Nickelodeon in the ‘90s, and more. Now, she’s breaking new ground with a restaurant of her own. Along with Kevin Tien, Steiner opened Himitsu in early November. The concept will feature new Japanese cuisine and, of course, Steiner’s playful and inventive cocktails. Since she’s a graduate of the Culinary Institute of America, Steiner also plans to turn the tables on traditional dining roles: She’ll create one food dish, and her partner will create one cocktail. We interviewed Carlie Steiner about her remarkable career -- and what's on the horizon.